Here’s a look at the Las Vegas Real Estate Market for August, 2017. According to a report released on August 7th by the Greater Las Vegas Association of REALTORS® (GLVAR), property prices are still on the rise as home sales remain high. July saw a total of 3,798 condominiums, townhomes, and single family homes sell. The median price range of houses that sold in Las Vegas during the month of July was $260,000. This amount shows an increase of 10.2 percent from last July. You can see the steady increase in prices when you look at May’s median price range of $250,000 and June’s median price range of $257.373. At the end of the month, there were 4,995 single-family homes on the market without an offer. The median price for a townhome or condo in Las Vegas for July was $138,000. We can see that significant climb from June’s $128,000. The current price range shows a increase of 20 percent from this time last year. At the end of July, there were 625 properties on the market without an offer. The low number of condos listed shows a decrease of 48.4 percent from last year. 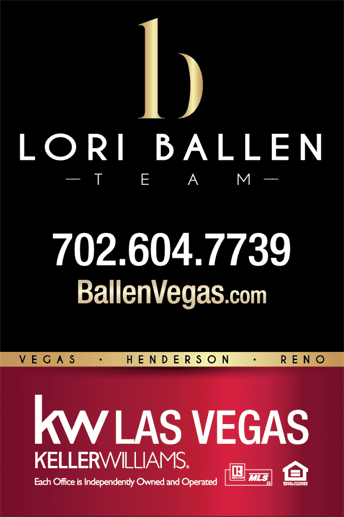 Last year, a total of 41,720 properties were sold in Las Vegas. With the current sales trend, we look to meet or surpass that number for 2017. Inventory did increase for the month of July, but there is still less than a 2 month supply. It isn’t that home owners aren’t placing their homes on the market. Buyers are ready to pounce as soon as they do! Real estate experts like to see 6 months of inventory before calling the market balanced. This is no time to drag your feet when it comes to choosing the perfect home. You can bet that another buyer is just waiting to put their offer in and push you out of the running. This is not the optimal market for those with trouble committing to a house. You are in better shape if you plan to look in the $350,000 price range and above. Cash sales made up 24.6 percent of all sales in the area, but it’s worth noting that this amount is down from the 25.8 perfect last year at this time. With home sales reaching new highs this year, it’s the perfect time to add your home to the mix. Buyers are aggressive in this market, and you may be surprised with the speed in which your property sells. The percentage of homes that sold within 60-days for the month of July is 82.2 percent, up from 74.9 percent last year. The percentage of condos that sold within 60-days for the month of July is an impressive 87.7 percent, up from 68.8 percent in 2016.